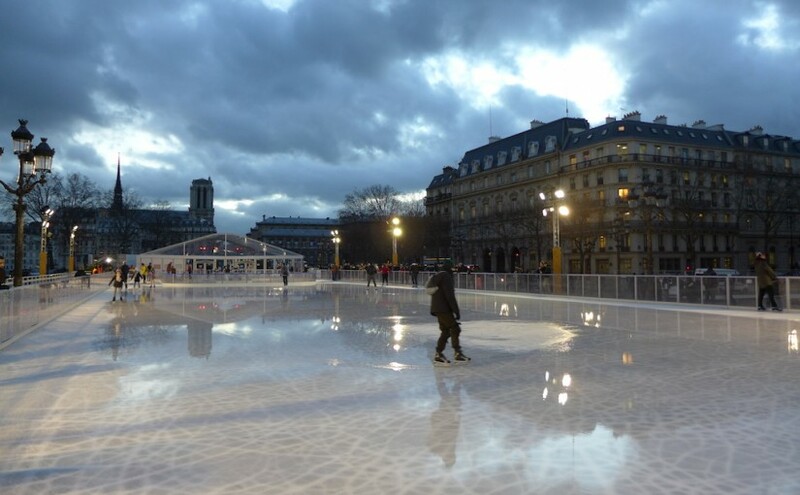 Until 1st March 2015 it is still possible to go skating on the huge rink in front of the Hotel de Ville in Paris. It is the most popular and the largest ice skating rink temporarily set up every winter in Paris. The location is quite simply magical especially when the sun goes down and the city lights go on : the floodlit facade of the Hotel de Ville, beautiful building from the 19th century, is amazing at night. And in the background one can see the towers of Notre Dame. And if you miss it, do not worry. For sure the ice skating rink will be there again next winter from mid December 2015 !